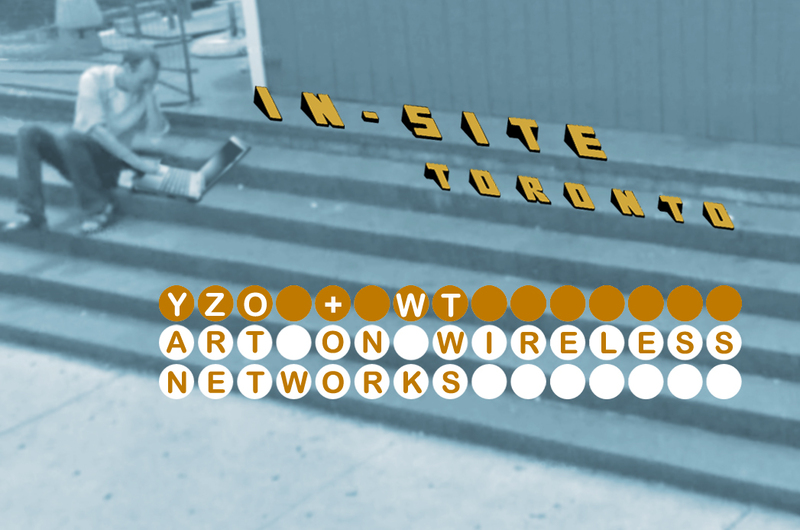 In-Site Toronto is a series of newly commissioned work that will be presented on the portal pages of several wireless internet hotspots in the Wireless Toronto network. Artists Dave Dyment, Swintak, Jeremy Bailey, Fedora Romita, Willy Le Maitre and Brian Joseph Davis have created works that will be automatically displayed when users log in to their Wireless Toronto user account at designated hotspots. The project will be launched on March 31, 2010 by media arts organisation Year Zero One, is curated by Michelle Kasprzak, and was produced with the support of the Canada Council for the Arts. The launch of the project will take place on March 31, 2010, at the El Mocambo (464 Spadina Ave, Toronto), in association with Spacing’s spring 2010 issue release party. Wednesday, March 31, 8pm-12am. Admission is $10 (gets you a new mag), or $5 for Spacing subscribers. You are currently reading In-Site Toronto launch – March 31, 2010 at In-Site Toronto.